Teams from around the globe come to Miami to bond together. 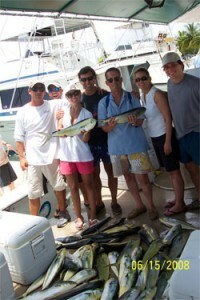 The Sportfishing Tournament event that we conduct combines the thrill of sportfishing and friendly competition, while learning about your colleagues, dealing with challeges, and inevitably conflict resolution. At the same time, we work towards solidifying the relationships within your company that are so important and crucial to real, maximum productivity. This unique and exciting team building event is highly effective in every aspect for your company’s growth. We offer a variety of team building formats, which can be competitive or non-competitive, depending on the goals of the group. 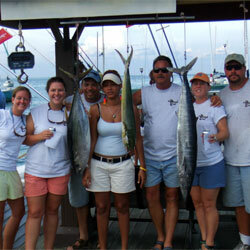 In the competitive formats, awards are given to individuals, and teams, in several categories pertaining to sportfishing, as well as corporate team building. Humorous categories can also be included such as the “small fry,” or the ugliest fish, and best “fish that got away” tale, etc. With regards to the Nissan Financion of Spain – Thank you Curtis for your contribution to the success of this group! We’ll keep offering your services with confidence and look forward to keep working together on future events. Copyright © 2019 Corporate Team Building. Powered by WordPress. Theme: Accelerate by ThemeGrill.